Philippe Andre, a detective in the murky world of Chinese pharmaceuticals, has some alarming tales to tell. In May last year, he visited a factory an hour outside Shanghai that supposedly produced a pharmaceutical ingredient. While shown around by men wearing protective clothing and spotless hard hats, Andre noticed oddities: the floor was immaculately clean and some workers sat around idle. The factory had an inspection log that spanned eight years with perfect record-keeping, but the handwriting was the same for all those years and not a single page was dog-eared. What’s more, while the factory had equipment to dry its product, there were no connecting pipes to funnel steam or waste gases out of the plant. “Obviously the product was not made there,” said Andre, a Belgian who runs a pharmaceutical auditing firm in the eastern Chinese city of Tianjin that advises foreign drug companies buying ingredients in China. The building, he says, was just one of the “showroom” factories intended to disguise China’s thriving industry in substandard and counterfeit drugs. Four years ago, Beijing promised to clean up its act following the deaths of at least 149 Americans who received contaminated Chinese supplies of the blood-thinner heparin. But an examination by Reuters has found that unregulated Chinese chemical companies making active pharmaceutical ingredients (API) are still selling their products on the open market with few or no checks. Interviews with more than a dozen API producers and brokers indicate drug ingredients are entering the global supply chain after being made with no oversight from China’s State Food and Drug Administration (SFDA), and with no Good Manufacturing Practice (GMP) certification, an internationally recognized standard of quality assurance. The export of unregulated drug ingredients may be putting lives at risk, particularly in poor countries where local pharmaceutical controls are minimal. Medicines containing faulty active ingredients or the wrong dose do not work properly and can contribute to the emergence of drug-resistant strains of dangerous diseases, such as malaria. As Walmart announced plans today to label certain foods with a new green “Great for You” label, some diet and nutrition experts told ABC News they applauded the move, while others questioned whether a company that sells food could set objective standards for what is healthy. Walmart, the largest food retailer in United States, will put the new label on select products that meet defined criteria.in its Great Value and Marketside lines. Customers will begin to see the new label on products starting in the spring. The company said the “Great for You” products meet the rigorous nutrition criteria established by the U.S. Food and Drug Administration, the U.S. Department of Agriculture and the Institute of Medicine. Paramount Sleep announced that Fresno, Calif., bedding manufacturer Cannon Sleep Products has licensed its bedding brands. Cannon is licensed to manufacture and distribute the products in California, Oregon, Nevada and Arizona. Cannon also has signed a license with Paramount to manufacture and sell A.H. Beard, an Australian luxury line that Paramount holds exclusive rights to in the United States. “In Cannon, we partnered with a family and a company with many shared values—integrity, hard work and a shared growth vision for the future,” said Jamie Diamonstein, president of Paramount Sleep. Like Paramount, Cannon Sleep Products is a third-generation, family-owned mattress producer. Founded in 1959, the company manufactures high-quality mattresses, box springs, futon mattresses, and futon covers. Cannon will produce Paramount mattress lines including Nature’s Spa, Heavy Duty (HD), Back Performance, Sleep For Success, and Boutique Hotel, as well as A.H. Beard. Last April, Paramount entered into a strategic alliance with Omaha Bedding to manufacture, service and support the full line of Paramount’s mattresses. About Paramount Sleep: Paramount Sleep is truly a company of bedding people, dedicated to carrying on its legacy of integrity, innovation and American made craftsmanship for more than 80 years. It is the only national mattress company to be Made in USA Certified®. The company’s mattress lines include: A.H. Beard, Back Performance, Boutique Hotel, GoodNiteKids, Heavy Duty, Nature’s Spa, Quilt O PEDIC, and Sleep for Success. 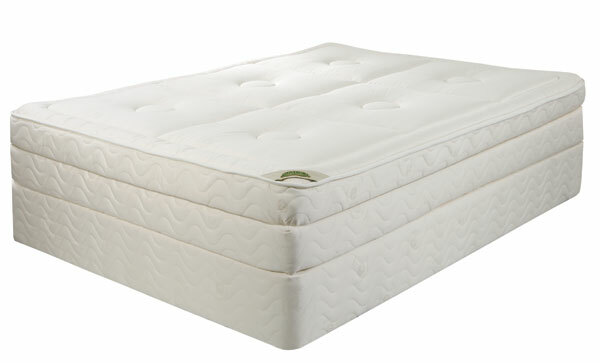 About Cannon Sleep Products: Cannon Sleep Products is the number one independent mattress manufacturer in northern California. Founded in 1959, it is a third-generation, family-owned company with a vision to be the leading bedding producer on the west coast. Cannon operates out of a 150,000-square-foot, state-of-the-art, purpose-built facility currently shipping nearly 200,000 units each year across the west coast.